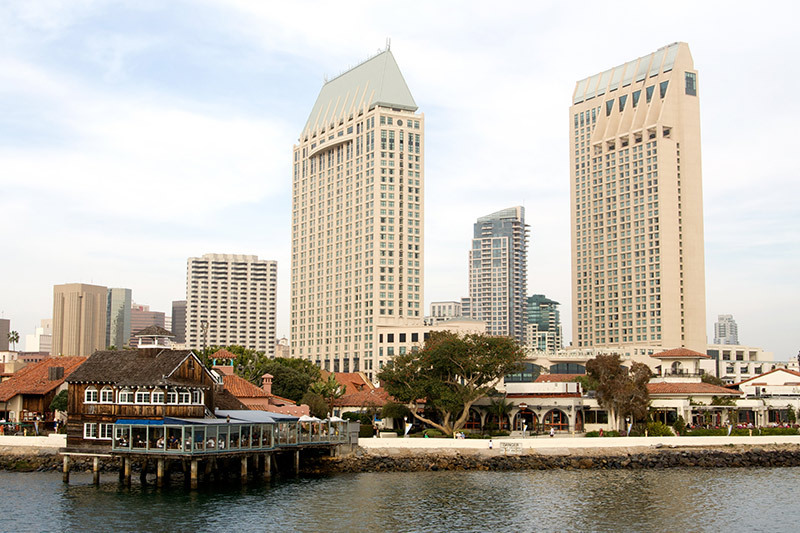 Enjoy waterfront shopping, dining and entertainment at San Diego's Seaport Village. Stroll through 14 acres of harbor side pathways and plazas connecting downtown San Diego to the Bay. Browse 54 diverse shops, boutiques and craft galleries. Dine at 17 unique restaurants and eateries overlooking the harbor, and enjoy outdoor entertainment and concerts. Ride the hand-carved carousel and check out the face painters and balloon artists. Strolling through Seaport Village is always free. Seaport Village public spaces are open 24 hours a day, seven days a week. Check the hours of each store or restaurant before you arrive. What attractions are at Seaport Village? Treat the kids to their very own creation from renowned balloon artist David Gonsalves. Take a ride on the historic carousel, hand-carved in 1895. Get a caricature portrait done. Transform your name into a unique plaque with San Diego architectural photographs. Or embrace the exotic with face painting and henna tattoos. What shops are located at Seaport Village? Get ready to discover the best collection of unique boutiques offering an eclectic choice of clothing, accessories and home décor. San Diego Surf Co. gets you ready to hit the waves. Sinfulicious Bodycare pampers after a day in the sun. Mistletoe delivers Christmas spirit year-round. Discover surprises around every corner here.